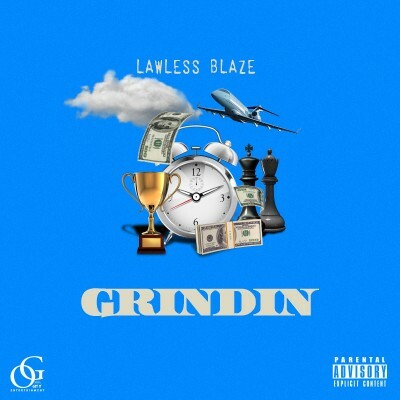 Grindin’ is a new single from Lawless Blaze, a hip hop artist from South Louisville, KY. This jam has a low-key and delightfully eerie musical intro, consisting of xylophone styled electric piano melody. It builds tension for the song nicely for the first 30 seconds of the song. The backing music also reminds me of the sort of thing you’d hear in old school Wu-Tang or The Pharcyde classics. When things finally kick in, Lawless Blaze’s vocals take things into high gear. His delivery often alternates between quick and slow, maintaining a good sense of timing relative to the minimalist back beat. 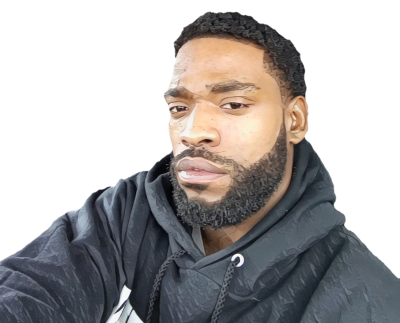 He rhymes mostly in the style of what could be described as a “fast talkin hustler.” Some of the quick-witted lines he rattles off whizz by you so fast you wonder if just bought a car from this guy without knowing it. The lyrics here are rich with substantive content, much more than the average mainstream rap or pop song. There are some memorable catch phrases and choice lines like pistachios… I’m goin nuts! Most of the song though is inspirational, as the artist charismatically muses about getting things done and working hard. It’s all about struggling and saving to achieve your dreams. “Grindin” is really the right word to describe the daily grind people have to go through to better themselves and often just to survive. It’s a great term to illustrate that nothing comes all that easily or smoothly. You’ve just gotta go out and keep a laser like focus on getting that money. Lawless Blaze manages to incorporate a genuinely positive and future oriented message without it coming off as cheesy or patronizing. It also must be said that Lawless is actually a very skilled rapper, with a natural flow that is always on point. Nowadays anybody with a computer can record and release a rap song, and it’s tough for artists to stand out among so much competition, but I’m telling you this guy has done his homework and can deliver with the best of them. Grindin’ is available on Spotify. Feel free to check it out and listen for yourself.